THIS AUCTION ENDS IN A FEW DAYS!! 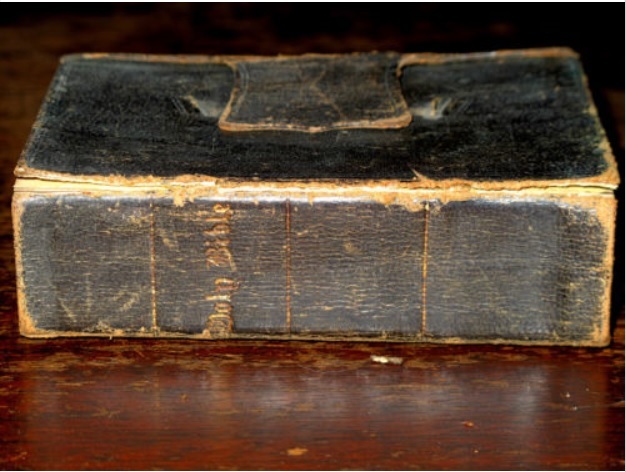 Bible of John Thomas Wyatt, born March 7, 1829 in Kanawha County, West Virginia; died November 11, 1859 in Henry County, Indiana. 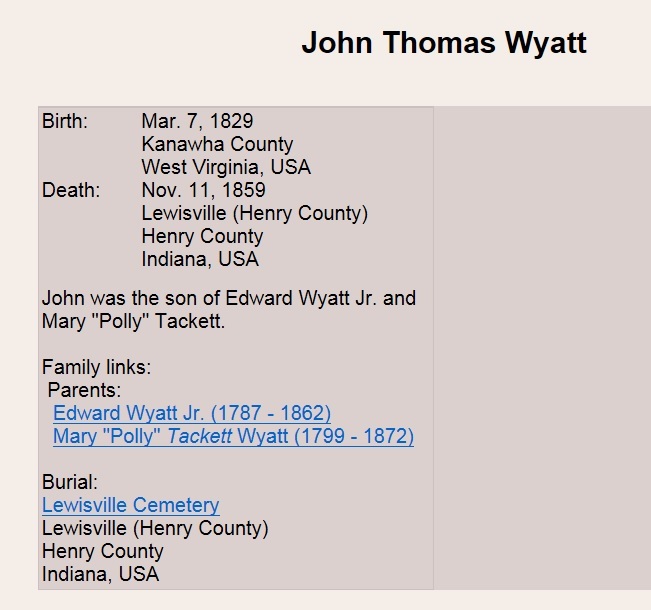 He was the son of Edward Wyatt Jr. and Mary “Polly” Tackett. Hope this finds its way back to its family! If this is your line and you purchase the bible, please let us know.